Blog Editor’s note: What they don’t stress is that regardless of the GOP internal disputes, this bill will be vetoed and never see the light of day. Your tax dollars at work. House Republicans voted Wednesday to undo years of President Obama’s immigration policies, launching a fresh attack on his executive actions as part of a plan to renew funding for the Department of Homeland Security. But in doing so, Republicans exposed fresh rifts in their expanded ranks as more than two dozen members, mostly from suburban districts in swing states, voted against plans to end a program granting temporary legal status to hundreds of thousands of “dreamers” — or children brought to the country illegally by their parents who have served as the emotional centerpiece of the years-long debate. House approval of the spending bill is just the opening act in a debate expected to stretch into late February, when homeland security expires. Legal challenges to Obama’s immigration orders, led by Republican state attorneys general, are underway. 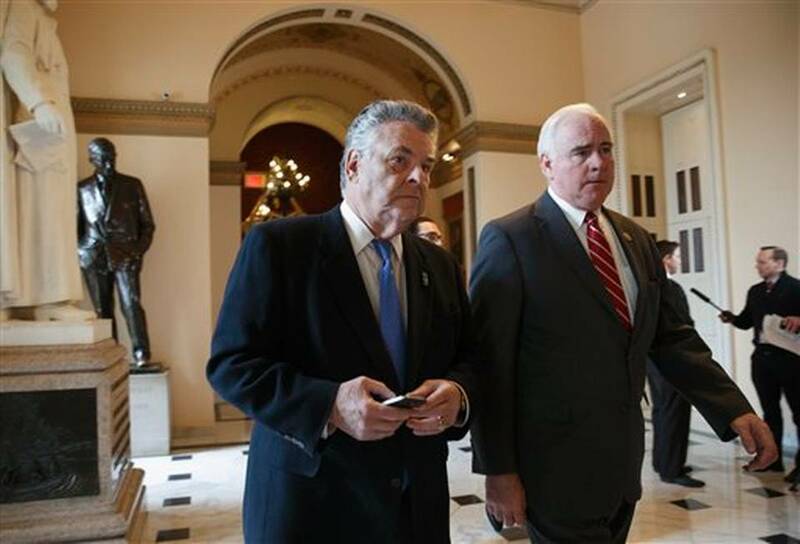 A senior GOP lawmaker suggested Wednesday that House and Senate leaders might also file suit. The bill passed 236 to 191 with the support of two moderate Democrats. But 10 Republicans voted against the final bill. Earlier, 26 Republicans — including several new members from suburban districts around Chicago, Las Vegas, Miami and Philadelphia — joined Democrats in voting against a proposal to end Obama’s Deferred Action for Childhood Arrivals program. Rep. Mario Diaz-Balart (R-Fla.), a veteran Miami Republican who was among those to vote against the bill and the DACA amendment, said that his party won’t be able to settle the immigration fight until it negotiates a bipartisan compromise with Obama. “Regardless of what happens this week, this month, on this issue, it will not make the issue itself go away,” he said. But Rep. Robert Aderholt (R-Ala.) said he was encouraged by the strong support the bill received from fellow Republicans. He was lead author of an amendment that would effectively invalidate the executive actions taken by Obama in November and his policy instructing federal immigration officers to focus their efforts on deporting illegal immigrants with criminal backgrounds. The amendment passed with GOP support. “It was a strong vote. I think it sends a message to the Senate as it goes forward. And we’re optimistic about it,” he said. “We do not take this action lightly, but there is simply no alternative,” Speaker John A. Boehner (R-Ohio) said ahead of the vote as he recounted the 22 times he said Obama has raised doubts about his ability to change immigration policy through presidential powers. “Enough is enough,” he added later. The White House denounced the House vote, saying Republicans were putting homeland security funding, training and long-range planning at risk. Obama’s top domestic policy adviser, Cecilia Muñoz, reiterated Obama’s threatened veto. Gil Kerlikowske, the commissioner of U.S. Customs and Border Protection, said Obama’s executive actions are aimed at allowing the department to focus resources on deporting illegal immigrants who have committed felonies or have terrorist ties, rather than those who are living in the country illegally but do not break other laws. “Prioritization is critical for any law enforcement agency,” he said. While 218 Republicans voted for the amendment ending DACA, the “no” votes came from newly-elected Reps. Bob Dold (R-Ill.) from the Chicago suburbs; Cresent Hardy (R-Nev.) from the Las Vegas suburbs; Ryan Costello (R-Pa.) and Tom MacArthur (R-N.J.) from the Philadelphia suburbs; Carlos Curbelo (R-Fla.), who represents a Miami-area district; Martha McSally (R-Ariz.), who won her election by fewer than 200 votes; and Rep. John Katko (R-N.Y.) from an Upstate New York district that has switched parties several times in recent years.